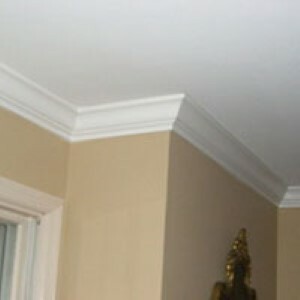 If you are looking for a way to add pizzazz to your home then it is time to consider Chicago crown molding. There is simply something that adding this extra touch does for a room that nothing else can. So whether you are designing the home of your dreams or renovating one to become what you have always wanted then adding custom trip work is a must. Molding is the ideal way to add elegance to any room with quite a simple touch. Not to mention this also immediately increases the value of your home. There are plenty of different styles to consider and a variety of looks that can be created. Let one of our expert consultants at Gary’s Home and Bathroom Remodeling review with you the options that are available. The good news is that our team of experts here at Gary’s Home and Bathroom Remodeling can take care of any of these for you. All you have to do is give us a call so we can get started. So call us today at 847-800-4279 or complete the simple online form here. If you are even considering simply having an interior painter change up the look of your house then why not consider this type of Chicago custom trim work? At Gary’s Home and Bathroom Remodeling we have years of experience in the industry and that means more than simply taking care of installation. We will work together with you to get an idea of the look you want to create and then help design the perfect look. And if you should decide that you would like additional service then you have come to the right place. We can take care of a large variety of professional services for your residential space. And it’s about more than just stylish trim work. We can even take care of intricate tasks such as electrical and plumbing. When it comes to taking care of the jobs you need done in your house you should never settle for less than the best. At Gary’s Home and Bathroom Remodeling our crew is ready, willing and more than capable to complete any task you have. So whether it’s something aesthetic like Chicago crown molding or more complex like new electrical work let us get the job done for you. If you are looking for Crown Molding in Chicago then please call 847-800-4279 or complete our online request form.